Let us document your Bridgeview Yacht Club wedding in pictures. Our years of wedding photography experience, combined with our intimate knowledge of this venue means we can capture your precious wedding day moments for posterity. Each time you look back at them, you will relive the most wonderful day of your life. Imagine your friends and family gathered in a picturesque waterfront setting to celebrate you and the love of your life taking your wedding vows. You can make this dream reality by booking your wedding at Long Island’s Bridgeview Yacht Club. Situated on Barnum Island Wharf, this venue is easily accessible by car, train or boat. Inside you’ll find a warm and inviting environment with walls of glass, which afford a stunning panoramic view of the water. Bridgeview has so much to offer you and your wedding guests; you will not be disappointed. The venue is perfect for your rehearsal dinners as well as your wedding ceremony and reception. We can make the most of the numerous photographic backdrops such as the vintage Ferris wheel, the pier and docks, and the enclosed courtyard with its ornate fountain. The Cocktail room with its nautical décor is ideal for receiving guests before your reception proper. The ballroom is a grand space, which has a capacity for up to 400 guests for your wedding banquet and formal reception. Its glittering chandeliers and draped ceiling add to its elegance. 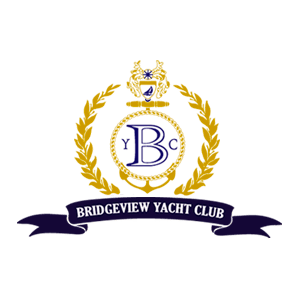 So you don’t have to worry about coordinating everything before and during your wedding and reception, Bridgeview Yacht Club has its own attentive in-house planners who are committed to providing a seamless, satisfying execution of every detail according to your individual specifications. They are always close-at-hand throughout your event to make sure everything is running smoothly, which is an advantage when you have a large guest count. Your friends and family will be astounded by the sumptuous quality of the food on the Bridgewater wedding menus. The Wedding catering package begins with Bridgeview’s Elaborate Cocktail Hour. This is combined with Butler Service Passed Hors D’oeuvres. You can choose ten hors-d’oeuvres from the menu of twenty-six, which includes mouthwatering favorites like Baked Brie & Caramelized Onion Tartlet, Marinated Beef Satay with Thai Chili Peanut Sauce Portobello, and Baked Clams Oreganata with Lemon Sauce. You can offer your guests a cold display table, a pasta station, a butcher block carving stations, and a hot gourmet stations, or a three-course formal dinner reception menu. Whichever you choose, the exceptional cuisine will not fail to delight. Choosing a wedding photographer will be one of the most important decisions you’ll make when planning your wedding. Finding the right one means, you can count on photographs that you can cherish forever. Arrange a meeting with us today so we can show you our portfolio and discuss how we can work together.